1969 “Bambilander” is a sweet little trailer whose past life was as an Land Yacht cut in half and put back together to Bambi size. Her weight is about 3500 lbs. 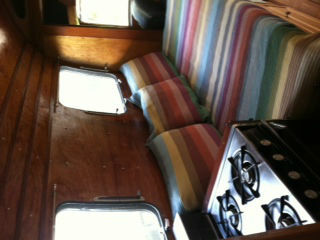 and her length is 19 ft. She is all lined in birch and varnished. She sports dual wheels with new tires (only one trip to TX on them), new rock guard, new air conditioner, new Fan-tastic vent, new window seals, new flooring, new toilet in full back bathroom, full sized double stainless sink with new faucet set in stainless counter created from panel cut out from Landyacht. 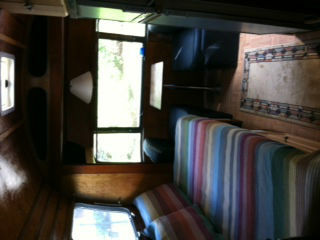 There is a new dinette in the front and a new memory foam mattress on the bed. 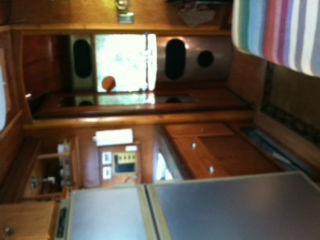 There is an area by the dinette and the back of the bathroom shelves that need to be finished with birch. 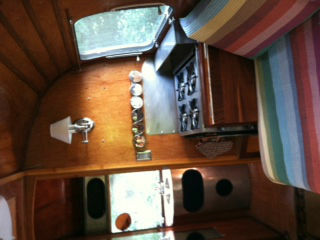 I bought a new Airstream before I finished. Full fridge with separate freezer door. 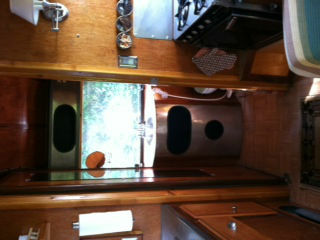 Original four burner stove with oven. Will include icube microwave. 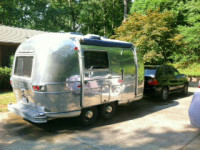 I lived in this for 3 months in TX and never felt crowded…loved it! Clear title. No warranty included or implied. Can you email me some photos of the Airstream and a contact number.